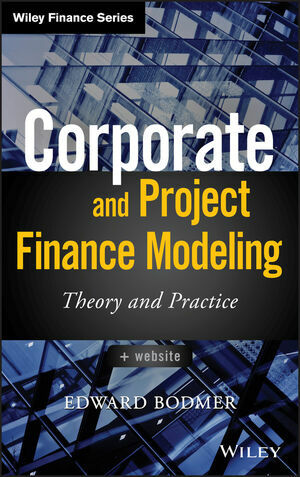 Corporate and Project Finance Modeling takes a clear, coherent approach to a complex and technical topic. Written by a globally-recognized financial and economic consultant, this book provides a thorough explanation of financial modeling and analysis while describing the practical application of newly-developed techniques. Theoretical discussion, case studies and step-by-step guides allow readers to master many difficult modeling problems and also explain how to build highly structured models from the ground up. The companion website includes downloadable examples, templates, and hundreds of exercises that allow readers to immediately apply the complex ideas discussed. Understand valuation effects of debt sizing, sculpting, project funding, re-financing, holding periods and credit enhancements. Corporate and Project Finance Modeling provides comprehensive guidance and extensive explanation, making it essential reading for anyone in the field. EDWARD BODMER is an experienced financial and economic consultant, trainer, and lecturer. He has conducted many training programs around the world to both large corporations and public programs that have covered project finance, corporate finance, energy analysis, and mergers and acquisitions. Formerly, Bodmer was the Vice President at the First National Bank of Chicago, where he directed analysis of energy loans and also created financial modeling techniques used in advisory projects.